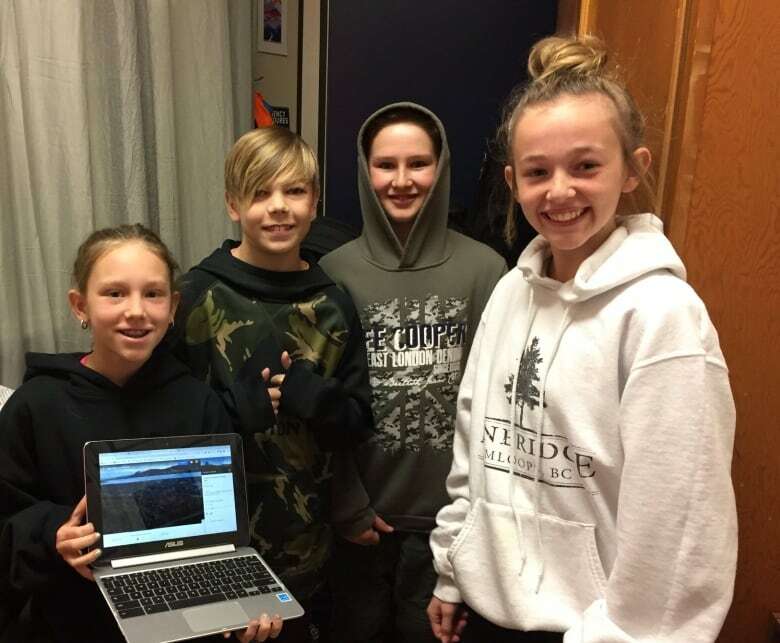 A group of young students in Kamloops, B.C., is learning about indigenous tradition through the virtual world. 'It's important to protect all of those different cultures and languages,' says teacher. Students at Dallas Elementary are combining stories about the Secwepemc First Nations people with images taken with a 360-degree camera. 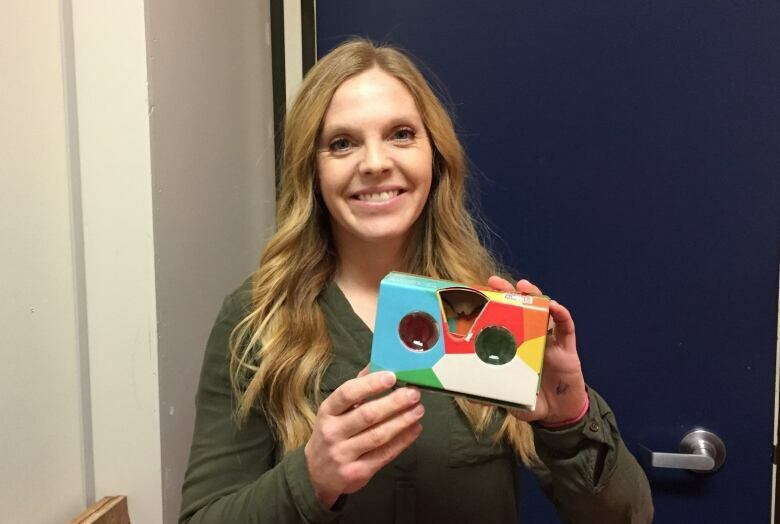 The project is part of a virtual reality module being completed this school semester to help students better understand truth and reconciliation, according to Andrea Mangell, a Grade 6 and 7 teacher at Dallas Elementary School. The photos are of local landscapes and rivers. The students write stories inspired by traditional Secwepemc characters and record themselves reading the stories. 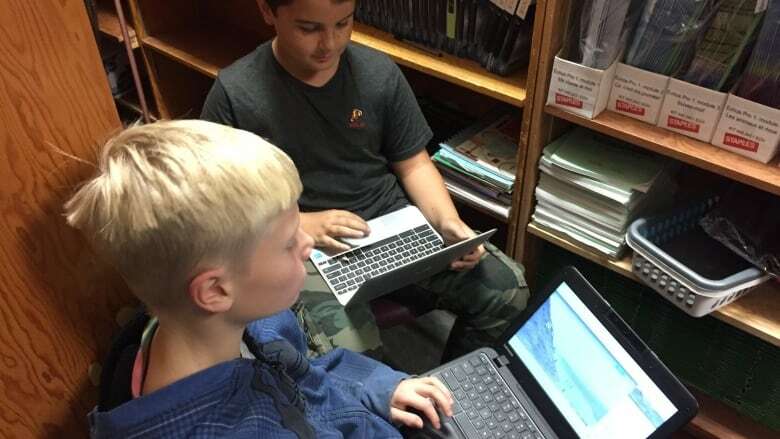 "We came up with creating these oral stories to share with other students in our district to sort of understand the idea behind truth and reconciliation,", Mangell told Daybreak Kamloops' Jenifer Norwell. To prepare for the project, the students learned about Secwepemc history and analyzed it, said Mangell. They went on field trips to the Quaaout Lodge — in the Indigenous territory known as Skwlax — and the surrounding area. The students also studied the impact of colonialism. "This is the only place in the entire world where the Secwepemc language and culture exists. It's on the verge of extinction. And it's important to protect all of those different cultures and languages," said Mangell. Once the students have completed creating the virtual reality sequence, it is uploaded to a mobile phone. The phone is placed into a set of virtual reality goggles. Wearing the goggles, when the students turn to the right, they might see a river. As they continue to turn around they see the rest of the scene, all while listening to the story. Grade 6 student Autumn Pickering wrote a story about how the bear and coyote became friends. "Their creativity level in coming up with these stories was pretty impressive," said Mangell. Mangell says that the stories in the virtual reality tours are fun and perfect for the students' learning level. "It's important to start bringing these issues to the conversation for students, if we're to make some social changes happen," she said. Mangell says that includes increasing education and awareness around Indigenous cultures and languages. She hopes the virtual reality module will encourage students to ask about colonialism and Indigenous cultures in the future. The module finishes at the end of November. The students plan to share their virtual reality tours with other schools in district 73. With files from Daybreak Kamloops.